Is It Possible To Create Hugely Successful Marketing On An Embarrassingly Small Budget? Yep. In fact, it’s often easier to do amazing stuff when big bucks aren’t available. Glance inside an advertising awards book and you’ll probably notice many if not most winners weren’t big-budget campaigns created for big brands. Big budgets tend to mean more hierarchy, procedures, and rules. More hurdles. In short, more ways to wind up with mediocrity. But don’t the best ideas usually require big bucks to execute? Nope. Think about the times you’ve enthusiastically shared cool business content that didn’t seem costly to produce. You provided those impressions to marketers free of charge. At Contenteurs, we collect 200 or even over 300 raw ideas for a single campaign. Some ideas can’t run without a substantial budget, but in many cases, the best ideas are among the cheapest to pull off. And I must say, when you realize your campaign is more successful than those of larger competitors spending way more money … well, few moments in marketing are more gratifying. Don’t get me wrong: Money comes in handy in marketing. More money buys you more options. More money equals more testing. And as I said in Optimarketing, the best marketers tend to be the best testers. If you’ve been blessed with a small budget, aim to make it look big. One solid way to make this happen: Instead of trying to do lots of things, do fewer things really well. Think concentration of force. And dare to be great. Thousands of artists live in New York City. Each year, thousands of others visit. 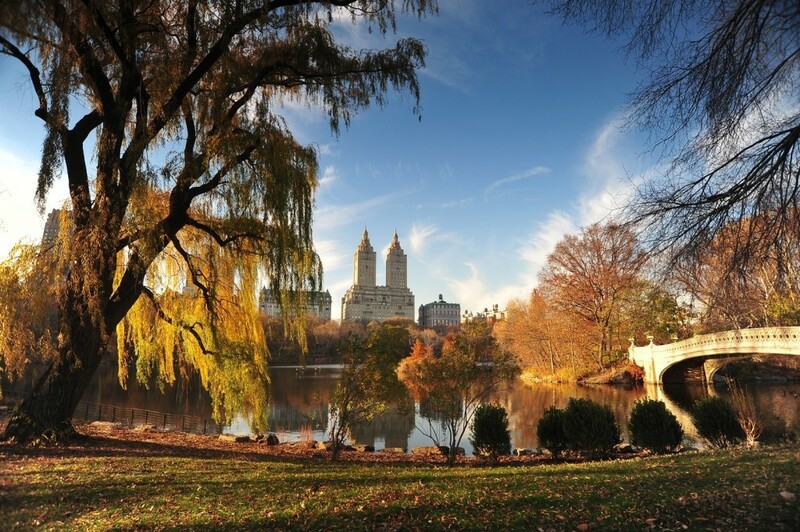 But one managed to capture the attention of New Yorkers — and a substantial chunk of America — throughout October. 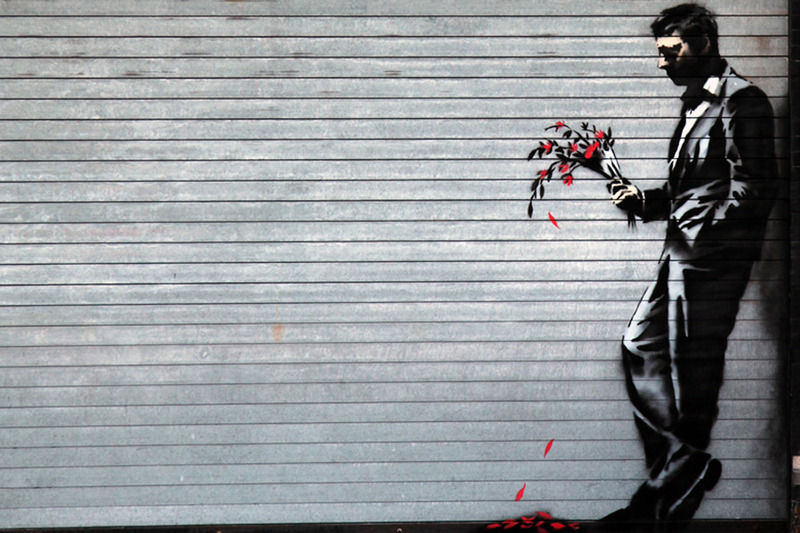 What should marketing pros and other creative people take away from the Banksy phenomenon? OVERNIGHT SUCCESS USUALLY TAKES YEARS. Banksy began as a graffiti artist in 1990 — almost a quarter century ago. IT’S GOOD TO GO BIG. Banksy’s traffic-stopping mobile installation, “Sirens of the Lambs,” depicting toy farm animals heading to a slaughterhouse (the artist called it a statement on the “casual cruelty” of meatpacking) required 60 plush toys, 4 puppeteers, and a slaughterhouse delivery truck with driver. Its YouTube video presently has more than 3.6 million views. CONTEXT MATTERS. When Banksy put his paintings up for sale on a street with a sign that read “SPRAY ART” and another with “$60″ in a starburst, hardly anyone noticed. The day’s final tally came to $420 for paintings that may have been worth more than $1 million. The medium is indeed the message. FREQUENT POSTS PAY. Banksy didn’t just create a work of art each day of his New York “residency”; he posted details daily on a website called “Better Out Than In.” Some marketers worry about posting too often; most don’t post often enough. LEADERS TAKE A STAND. In an op-ed The New York Times rejected, Banksy railed the design of the new World Trade Center. It pissed some people off, but he considered it important to speak out. Great ones aren’t afraid to tackle controversial topics. PEOPLE LOVE SURPRISES. Each day, New Yorkers eagerly awaited Banksy’s next move. No one knew where his artwork would pop up next. The mysterious artist never showed his face, but he seemed ubiquitous. Excellent marketing is never predictable. It’s often surprising. EXPERIMENTATION IS ESSENTIAL. One could think of this “residency” as one big social experiment. It included graffiti that made Banksy famous — along with work that clearly required the artist to stretch. “Sirens of the Lambs” was considered a tour de force, but some of his words fell flat. That’s how it tends to go. We’ve often said the best marketers are the best testers. Friendly suggestion: Try being more like Banksy. For ambitious marketers, this could be a fall like no other. A season of unprecedented innovation. A time to take your game up a notch – or three. But only if you make the right moves.